This is one of the best moral value stories in English for kids. Once upon a time in a faraway Kingdom, there lived a King and a Queen. Soon, they had a young Prince in their lives. The Prince was brave, kind and generous. 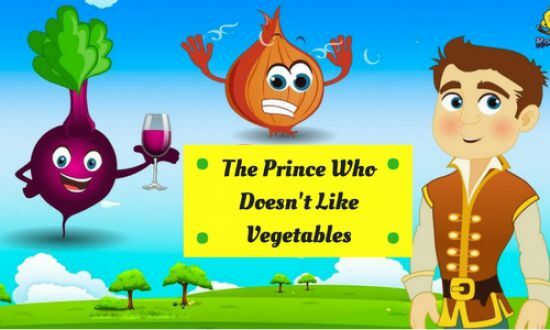 The only problem with the Prince was he did not like vegetables. He was soon to become the King as his father had become old and could not work like before. Also, read The Prince And The Seedlings. He had many doubts in his mind before sitting on the throne. Finally, one day, he called the great teacher of the Kingdom. “Welcome, great teacher!” said the Prince. “What is it that bothers you, Oh great Prince?” asked the great teacher. “I am going to be a King soon but I don’t know if I will be a good King! I don’t know what qualities I must possess,” said the Prince sadly. “Hmm… Maybe I can help. Do you eat vegetables?” asked the great teacher. “Yes, I do! But I don’t like vegetables!” replied the Prince. “Maybe you have not noticed, but there is so much they can teach us. That’s where your answers to all the questions lie!” told the great teacher. The Prince was unable to understand what the great teacher as saying. The great teacher then said, “Sometimes you must be the Bringal- rich, purple and fitted with a crown but you must also be the Pumpkin- growing humbly on the ground. Stand up like the Ladyfingers- beautiful, slender and tall but also be friendly like the Potato- easily blending with all. For criminals, you will be a Bitter Gourd. Decisions will be bitter and tough.” The Prince was shocked to see how the great teacher was relating the Prince’ duties with the vegetables. “Wow! What a lesson that was! It solves all my problems.” said the Prince and thanked the great teacher. “I am glad to help you, oh future King!” said the great teacher with a smile on his face. From that day, the Prince ate all the vegetables and he became the best King the Kingdom could ever have. You may also like to read, The Prince With Donkey Ears.